February 5th-8th the 39th ACNL’s annual conference (Association of California Nurse Leaders) will be held in Anaheim, California at the Disneyland Resort. We will be at the conference on February 6th at the Exhibitor Hall. 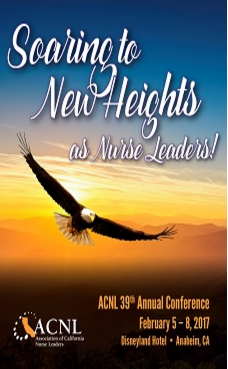 ACNL’s annual conference will help you maximize your skills and talents as a nurse leader, while also teaching new and useful tools as well. Make sure to keep an eye out for our pre-conference letter. If you bring the letter to our booth on February 6th you will receive a special gift. We are very excited to network and meet new people, be sure to stop by and say hi. Please note that Exhibitor Hall will be open only Monday, February 6th !